On June 6, 2017, the New York State Appellate Division rendered a decision on our appeal regarding our lawsuit Alliance to End Chickens as Kaporos v. New York City Police Department, et al . Our lawsuit seeks to compel the New York Police Department and other city agencies to enforce the fifteen laws that are violated by Kaporos practitioners in New York. In Brooklyn alone, 60,000 chickens are slaughtered on public streets for this ritual. The lower court dismissed the action, and the Appellate Division affirmed the lower court’s decision. The appeal was filed by Alliance attorney Nora Constance Marino in June of 2016. On July 26, 2017, Alliance Attorney Nora Constance Marino was informed by the New York Court of Appeals that our appeal will proceed! The filing deadline is September 18th. This is a huge accomplishment! We’ll keep you posted! Thank you for your kind and generous contribution to our compassionate cause! 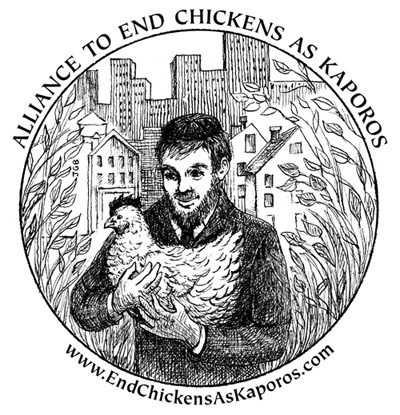 The Alliance to End Chickens as Kaporos is an association of groups and individuals who seek to replace the use of chickens in Kaporos ceremonies with money or other non-animal symbols of atonement. The Alliance does not oppose Kaporos per se, only the cruel and unnecessary use of chickens in the ceremony.